LG’s steadfast march to be the first on the block with handets for Windows Phone 7 continues, and every day we’re getting bits of more information. 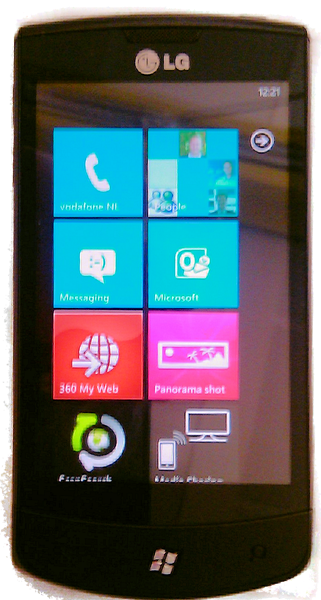 This shot of the E900 Optimus 7 (via WMPU) was leaked by an official Dutch Windows Phone twitter account, which has now been closed. That’s a much prettier picture than the previous one. 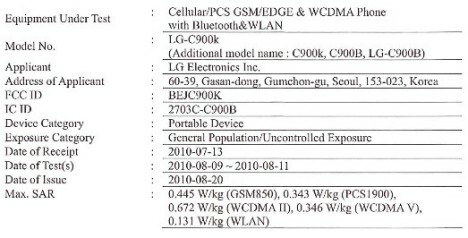 The LG C900 Pacific has just gone through FCC approval, which doesn’t tell us anything, except it’s WCDMA bands II and V, which most likely means AT&T.